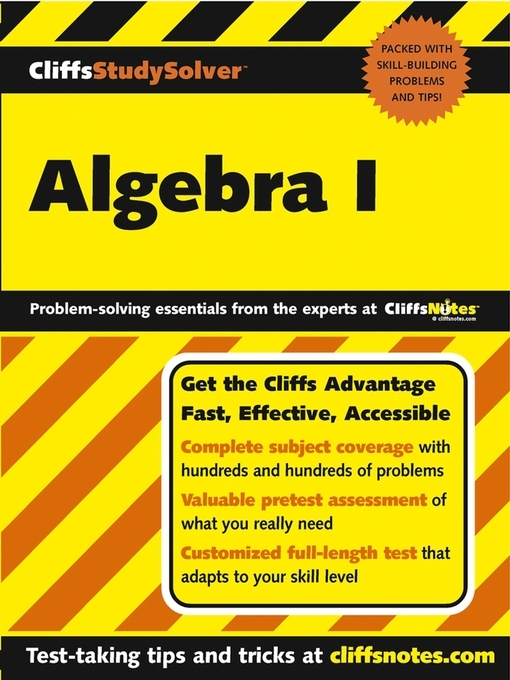 The CliffsStudySolver workbooks combine 20 percent review material with 80 percent practice problems (and the answers!) to help make your lessons stick. Practice makes perfect -- and whether you're taking lessons or teaching yourself, CliffsStudySolver guides can help you make the grade.